There are two pencil purchases I’ve been thinking about for a while. One of them is a Rotring 800+, but with a price tag of more than £40 I haven’t been able to convince myself to buy it yet1. 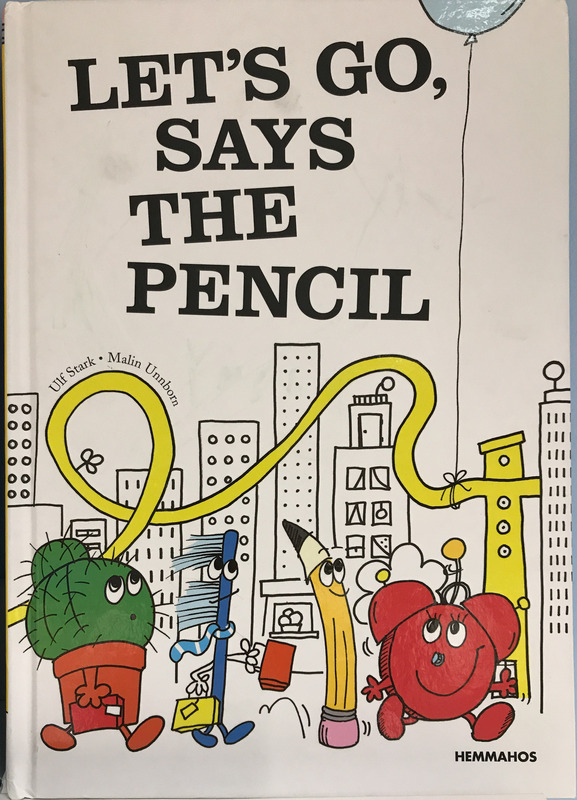 Every now and then I check whether I find a good offer for this pencil in online stores, on Amazon and on eBay. 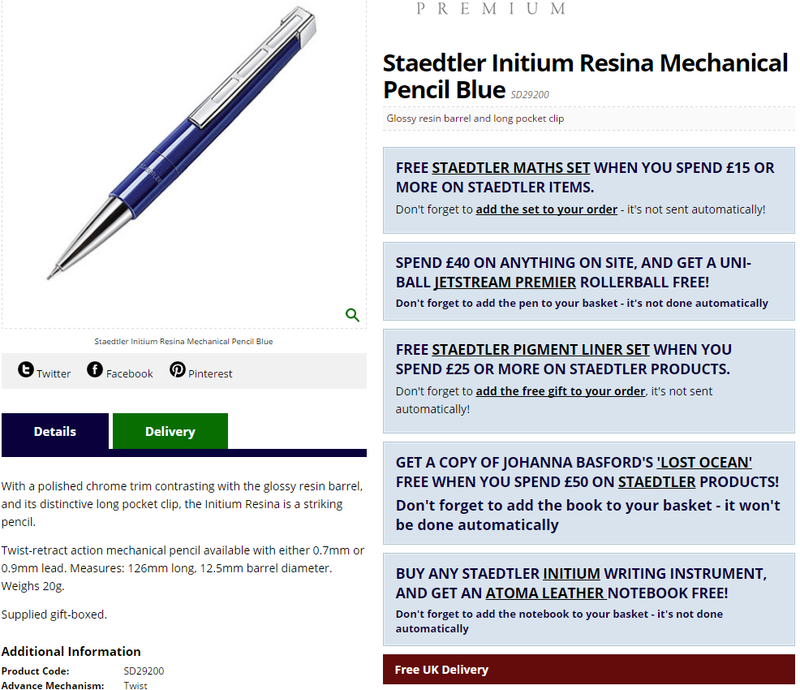 Earlier this week I was just checking CultPens again (so far they have been the cheapest store for the Rotring 800+ when taking postage into account) when I saw an offer I couldn’t resist: Lots, really lots, of ‘free’ items if you buy a Staedtler Initium pen. 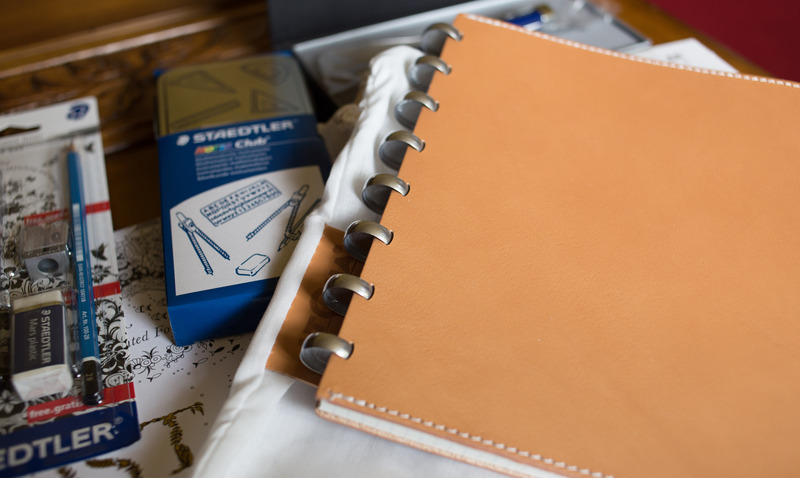 …so this notebook was the reason why I went ahead and ordered the Staedtler Initium pencil. 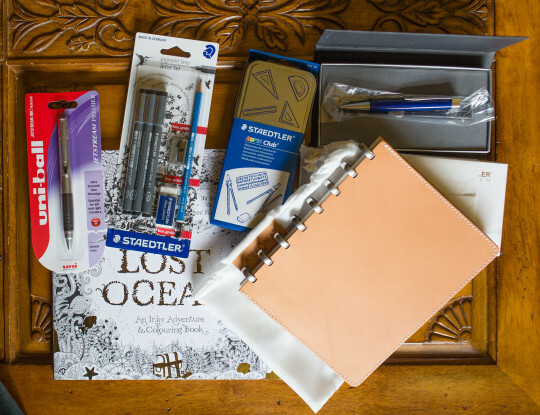 I think I was probably even more interested than I otherwise would have been because of the recent flood of blog posts about William Hannah’s similar notebook after they sent free samples and discounted samples to many bloggers4. 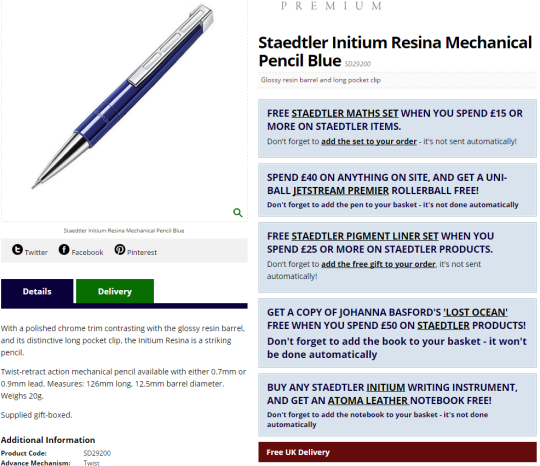 I do love Staedtler products, you might have noticed that this blog has more articles about Staedtler than about any other manufacturer5 but so far I haven’t been very excited about their foray into the world of more expensive stationery, their Initium line. Based on the photos I have seen online I think the Initium fountain pens look like cheap ‘own brand’ pens from a high street stationery chain – I might revise my opinion when I see one in reality, though, photos can be deceptive. 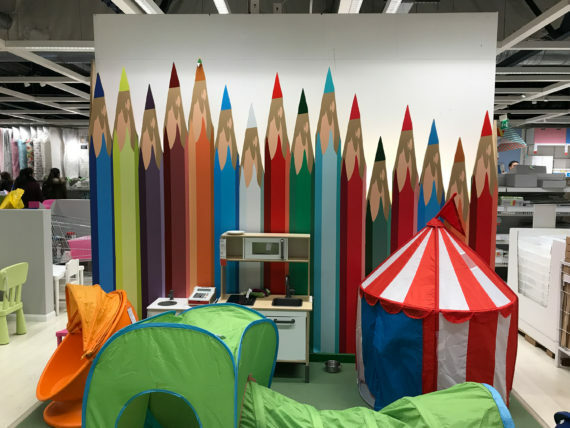 The pencil on the other hand looks nice to me, but maybe not >£60 nice. So I went with the mechanical pencil instead. 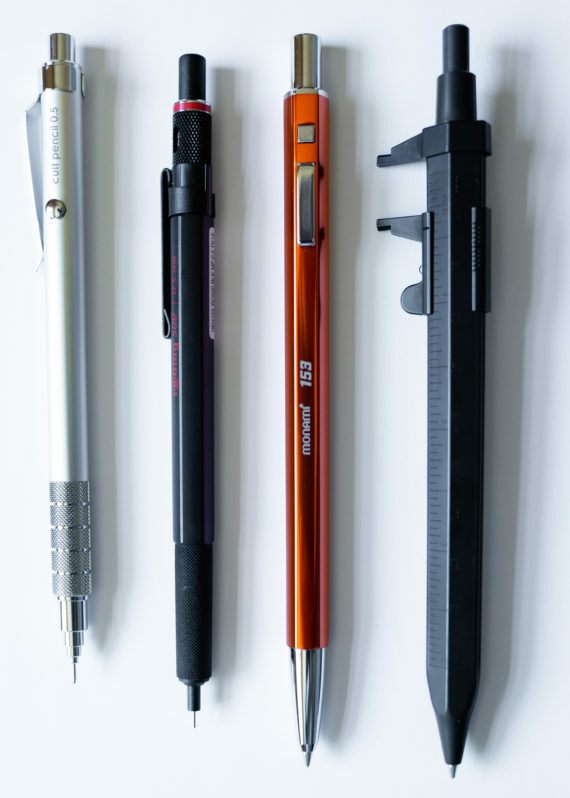 On the photos it looks better than the fountain pen, but I couldn’t really imagine how the clip works – is there a spring like in the Lamy 2000? Well, my purchase has arrived now, I just unpacked the items. First impression: The body of the Staedtler pencil looks a bit more plasticy than expected, but overall it looks good. The Atoma leather notebook looks just amazingly beautiful! I’m very much looking forward to trying all the items out. 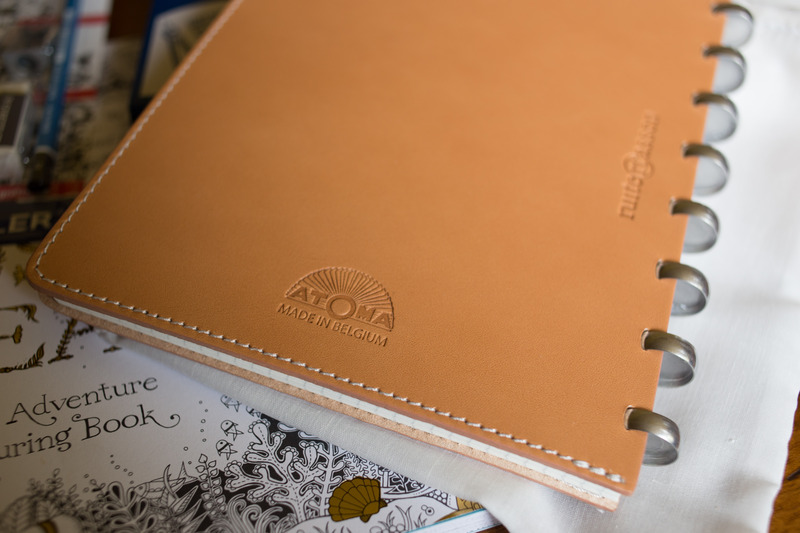 You can read more about Atoma in my 2012 blog post about this system. It looks as if I lost my Perfect Pencil. My trusted companion since February 2009. With me nearly every single day since I bought it. I guess there is a small chance I will find it again, but that seems unlikely at this stage. The Castell 9000 version is, in my opinion, by far the best version. 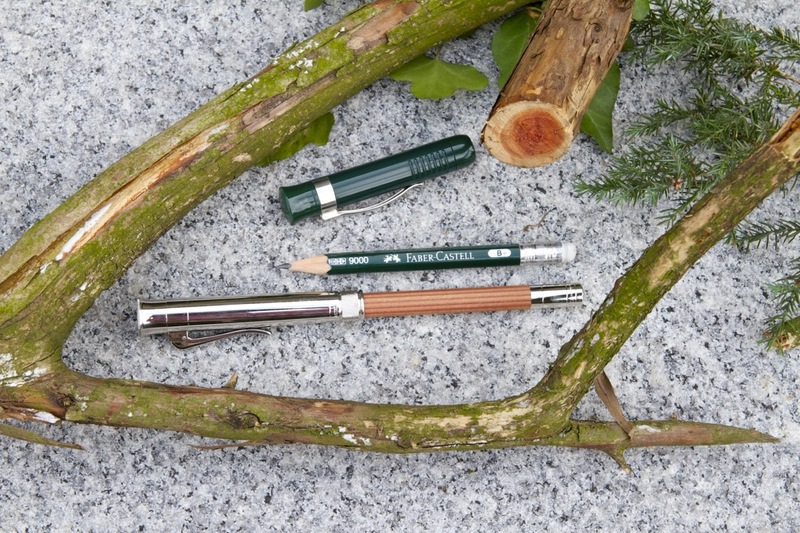 I don’t like the look of any of the other Faber-Castell versions and the Graf von Faber-Castell versions are on the one hand a bit too ‘show off’ and they are also very heavy …which makes them feel unbalanced – plus I know from experience that if both of them fall from a meter or so on tarmac the Castell 9000 version will usually survive unharmed while the Graf von version will get a corner chipped off, because its weight made the fall so much worse. 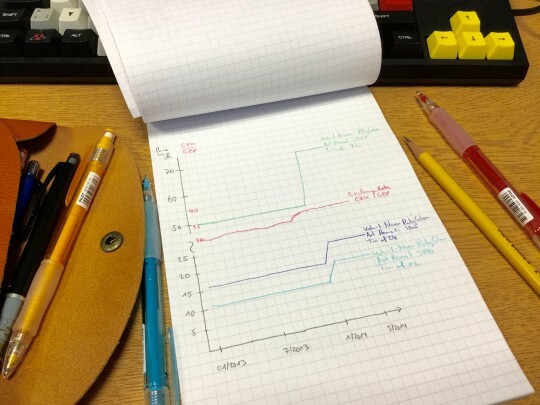 The picture is from an old blog post about the Pencil Cedar – when I still had my Perfect Pencil. The big question: should I buy a new one, the green one again? They got more expensive in the UK. I bought mine from Cult Pens where they now sell for 12% more (when taking VAT out of the equation). On the other hand the refills got nearly 50% cheaper!1 Even though a 12% price rise seems reasonable they are only half of the UK price when bought at Müller, a German drug store chain. In the past I was tempted to get the black version. The black version looks as if it would look good with a Noris as a refill, but the only place where I have seen the black version for sale is in Japan, so it does get quite expensive – and currently I shouldn’t really spent money on expensive2 stationery. I’m not sure yet whether I pay the more expensive UK price, wait for a one from Germany or pay the premium to get the black Japanese version.